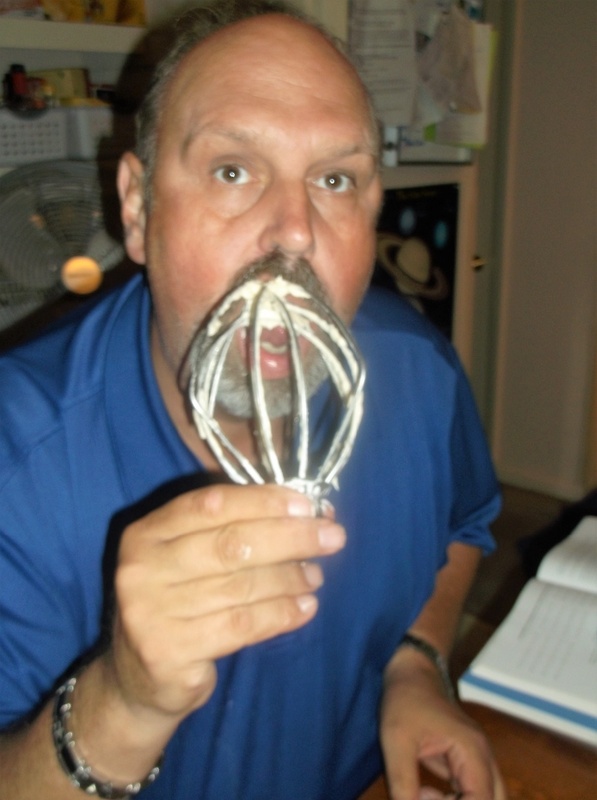 Someone (Bobby) seems to have gotten caught with a large mixer beater of butter cream icing. Sorry Bobby but I just had to post this photo , it is just to cute. I love you.